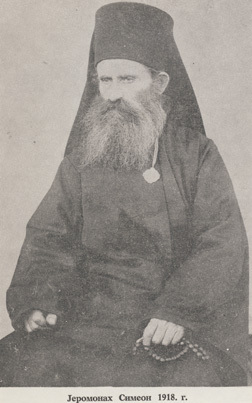 Our Venerable Father Simeon was born on 19 December 1854 in Cetinje of Montenegro, where he completed his primary education. 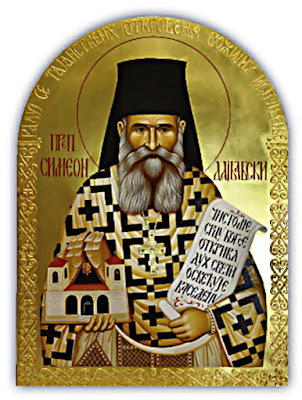 Later he studied at the Kiev Theological Seminary, then at the Kiev Spiritual Academy, where he was inspired by the lives and examples of the fathers of the Kiev Caves Lavra. 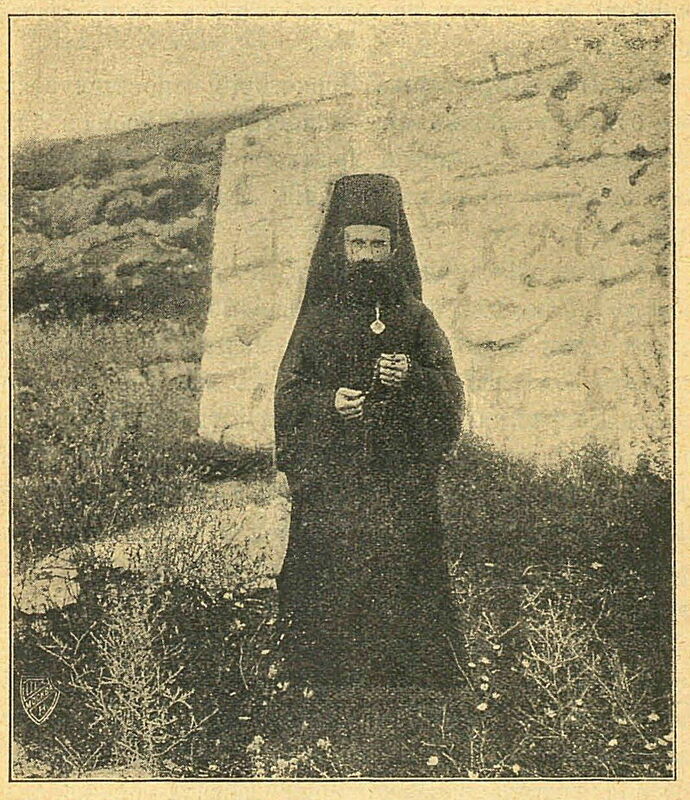 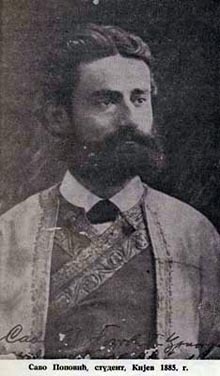 In Kiev he was ordained a hieromonk, and in 1888 he returned to Cetinje, where he served in the Saint Nicholas Monastery on Vranjina Island, and one year later in the Ostrog Monastery, where he was a lecturer in its monastic school, which had been founded by Metropolitan Mitrophan Ban of Montenegro. According to wondrous visions, which God revealed to him, the hieromonk Simeon initiated a construction of a church at the site of present-day Dajbabe Monastery in the late 19th century. The rest of his life Hieromonk Simeon spent serving in the newly-established Dajbabe Monastery, and there he, as a monk, was visited by Archimandrite Justin Popovich, a great Serbian theologian and saint. 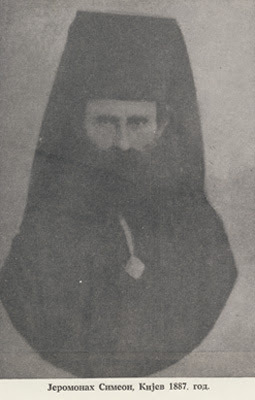 Saint Simeon of Dajbabe reposed in the Lord on 1 April 1941. 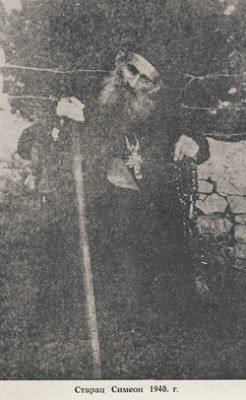 His venerable relics were discovered 55 years after his death in 1996 in the Dajbabe Monastery, thanks to the efforts of His Eminence Amfilohije the Metropolitan of Montenegro, many priests and faithful people. 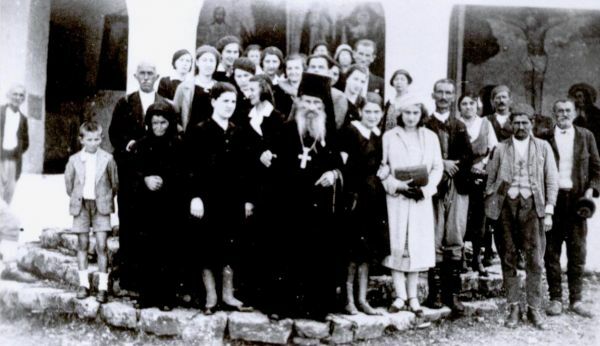 Since then until today, every year on a day of his death, a great crowd assembles in the Dajbabe Monastery. On 2 May 2010 Father Simeon was canonized by the Holy Synod of the Serbian Orthodox Church, together with Father Justin Popovich, in the Cathedral of Saint Sava in Vracar.